Diabetes and Hearing Loss: Is There a Connection? Hearing loss can arise as a result of a number of different ailments and long-term conditions. Unfortunately, for many Americans, those who may be at risk of diabetes may also be at risk of losing significant hearing ability. Diabetes is an illness which can lead to mobility and bodily function difficulties for millions of people. Research over the years suggests that many sufferers or those at risk could also be more prone to hearing loss as time goes by. We are at this moment in time unable to confirm any specific links between diabetes and hearing loss outright. However, some studies and ongoing research appears to suggest that there may be a link we are only just beginning to understand. In 2008, the NIH (National Institute of Health) published a study of US adults who had recently taken hearing tests. Researchers cross-referenced diabetic diagnoses and pre-diabetic diagnoses and were able to find a correlation. The NIH’s results showed that those affected by diabetes appeared more susceptible to hearing impediment in low and high-frequency tones. Similarly, a Japanese study in 2011 found hearing loss to be more commonplace in diabetic people. The Tsukuba University Hospital in Ibaraki found over the course of 13 studies that 11% of people hard of hearing were also diabetic. The same studies found that diabetic people were more than twice as likely to suffer from at least mild hearing loss. Research is ongoing – but these studies are, at least, a starting point for us to understand any links that may exist. Is There a Definite Link Between Diabetes and Hearing Loss? Unfortunately, it is not currently simple to say whether or not one condition has a knock-on effect for the other. Diabetes is a wide-ranging illness which can affect some bodily functions, and it is thought that solid research into any links is in its infancy. One such suggestion made which could link the two conditions together is nerve damage. 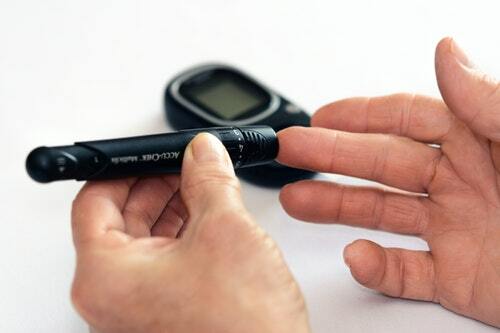 Type 2 diabetes, in particular, can lead to considerable nerve damage in sufferers, which means that auditory nerves may be impacted depending upon the severity of the illness from case to case. MIDD, or Maternally Inherited Diabetes and Deafness, is a condition which can be inherited. It’s thought that up to 75% of MIDD sufferers will experience hearing loss in their lifetime. That suggests that hearing loss may be an inherited problem for the inflicted, which could lead to further research inspiration in the future. MIDD occurs as a result of DNA mutation, and it’s only thought to affect around 1% of people living with diabetes. As such, it is one of the very few links between diabetes and hearing loss that can be accounted for. If you have diabetes and are worried about hearing loss – whether mild, severe or in-between – Best Hearing Aid can help you find the support and relief you need. Call our team on (800) 376-6001 today for a friendly chat.